Samsung is an industry-leading television maker that has really gained a stronghold in the market over the last few years. In fact, the South Korean company seems to have found a stronghold in every market, selling everything from cell phones to refrigerators in addition to televisions. With so much diversification, one might expect that their televisions aren’t keeping up the pace with other television makers. Fortunately, the opposite seems to be they case, and they’ve continued to improve the technology in their sets. With high refresh rates, bright displays and innovations like bringing apps to their televisions, Samsung might be one of the best options available. Continue reading our Samsung HDTV reviews and find out if a Samsung television is for you. Searching for a specific Samsung TV review? Samsung’s perception as a brand is top notch. Because its product offering is so heavily diversified, the company is able to build in-depth relationships with its customers. For example, consumers can buy a Samsung refrigerator or smartphone and then have a positive impression of Samsung products when they shop for their next television. Thanks to this and their continued innovation in both the design and technological aspects of their televisions, Samsung’s brand is that of a trendsetter. Going beyond the brand, we’ll take a look at Samsung’s product quality, pricing and value and customer service. Although this guide will provide you with more in-depth knowledge about Samsung sets in general, it is still recommended that you research any individual Samsung television that you are considering. Continuing on the subject of Samsung’s innovation, that may very well be Samsung’s strongest quality for their products. The South Korean company has established itself as a leader in the television marketplace. They were among the first manufacturers to offer LED sets at a reasonable price, and they also led the way when 3D sets began to hit the market. The picture quality in Samsung sets is unparalleled, and the response rates are at the forefront of the industry. In fact, Samsung’s advances in technology have led the company to work as a components supplier for other television and electronic manufacturers. Their displays and components are excellent, but that’s only part of the story. Televisions have evolved to a point where displaying a pretty picture isn’t good enough; a television also needs to look good. Fortunately, Samsung delivers in the style department. Their sets are thin and designed well enough that they can fit in with any living room or home theater. Other innovations, such as including the ability to use apps in their televisions, have made sure that Samsung’s products stay ahead of what other manufacturers are offering. Between Samsung’s excellent style and technology, it’s hard to say anything bad about the quality of Samsung sets. As far as pricing and value go, it’s a split decision. If you’re buying a new television that you plan to use every day, complete with 3D and a huge display, then Samsung’s televisions are a great choice. You pay a little bit extra for the quality in their sets, but it’s absolutely worth it because of the value you’re getting for the money you spend. When you’re spending $1,400 on a television, it’s not hard to justify spending an extra $100 to get a Samsung. The price-to-value ratio declines when you consider smaller televisions, though. A 26-inch Samsung will likely run you $300 or more, while finding a set of the same size from a different manufacturer for two-thirds of that price isn’t unheard of. In most cases with these smaller televisions, they’re going to be placed in a spare room and won’t receive the same use as a “main” television. In these cases, it’s hard to justify the extra cost for a Samsung, and that’s why they’ve only received four stars here. This is where Samsung stumbles somewhat. Reviews for their customer service tend to fall on the negative end of the spectrum. Although a number of their call centers are located in the US, their reps have a tendency to do everything by the book. If a television set is just a week out of warranty, most reps won’t extend any sort of grace period. Their reps have also received criticism for a lack of knowledge. The saving grace here is that thanks to the high reliability in Samsung’s televisions, you shouldn’t find yourself having too many interactions with their customer service. Samsung makes some terrific sets, and they’ve established themselves as a dominant force in the television market over the last few years. Although you’re not going to find the bargain pricing on Samsung sets that you will on some others, you can be assured that the quality you’re getting out of their sets is well worth the price you pay for them. several parts of the screen. Sometimes a thin blue vertical line appears one-third of the way from left side on the screen. The TV is only 3 years old. As far as I’m concerned, that is totally unacceptable. These type of screens are supposed to last 60,000 hours. I doubt if it’s been used for a quarter of that amount. I will never buy Samsung again. I can’t believe they sell this junk. I want my money back. I bought a Samsung Plasma 3D TV after exhaustive research. Their TV was actually hailed as the TV of the year in some circles. I’ve been in the TV/Film industry for 20 years and knew enough to avoid plasma TV’s due to a myriad of issues. However, after reading all of the reviews, and going to the store to check out the picture quality, I was frankly very impressed. The reviews seemed to say that burn-in was no longer an issue and that the black levels and picture quality were unsurpassed. The 3D aspect of the TV was a bonus. Cutting to the heart of the reason for this review, I’ll just say that I have SEVERE burn-in after only one month of use. Turns out that the stations that I watch have “bugs” and ID “banners” up for every show and they are now ghosted into my screen. I called Samsung for some support, and guess what? Burn-in is NOT covered under their warranty. Even if it happens that quickly. I was at a loss. I explained to them that this was not acceptable, but they held fast. I told them that by omitting burn-in from their warranty, they were in fact ADMITTING that it was a problem that they expected to happen. Otherwise, they would stand behind their product. They then suggested that to avoid burn-in, I should watch different channels throughout the day. Seriously, this was their solution. My solution after spending $1800 on a TV that is now defective is to first NEVER buy another plasma TV, and second, NEVER buy another Samsung product as they refuse to stand behind their products. 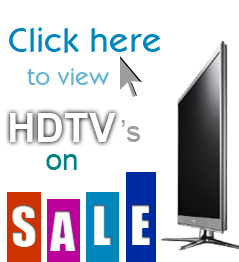 I bought the Samsung LN46A850 46″ 1080p 120Hz LCD in May 2009 through Amazon. It worked great for 2.5 years, but, now it periodically shuts itself off and turns back on. This is preceded by horizontal lines appearing on the screen which get progressively worse until it shuts off. I’ve found I can turn it off for 30 minutes or so, and then it operates as advertised. I saw on the internet that others are having the same issues probably due to capacitor problems. Why doesn’t Samsung include PC-VGA connections on their tv? It seems that all other brands do. I bought a 32″ LED Samsung tv for my kitchen . It is 2 months out of warranty. When you turn the tv on it blinks on for a second then continually cycles on and off untill you unplug it. When you consider the fact that this tv only gets used very little it should have lasted much longer. I can not believe this site praises these tv’s when you go on the web and read all the problems they have and the poor customer service you get. I will never buy another Samsung product ever.